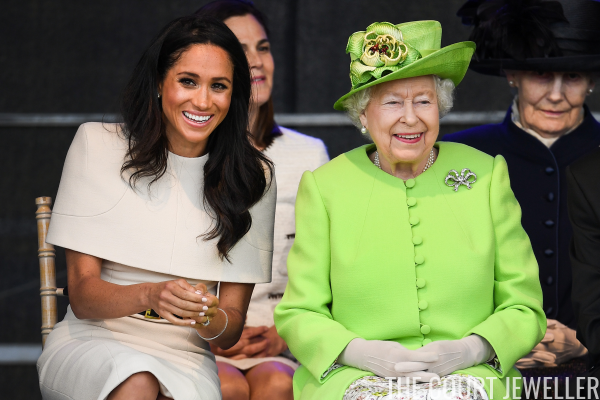 Queen Elizabeth II brought along her new granddaughter-in-law, the Duchess of Sussex, for a day of engagements in Cheshire on Thursday -- and we got to see a new piece of royal jewelry in the process! 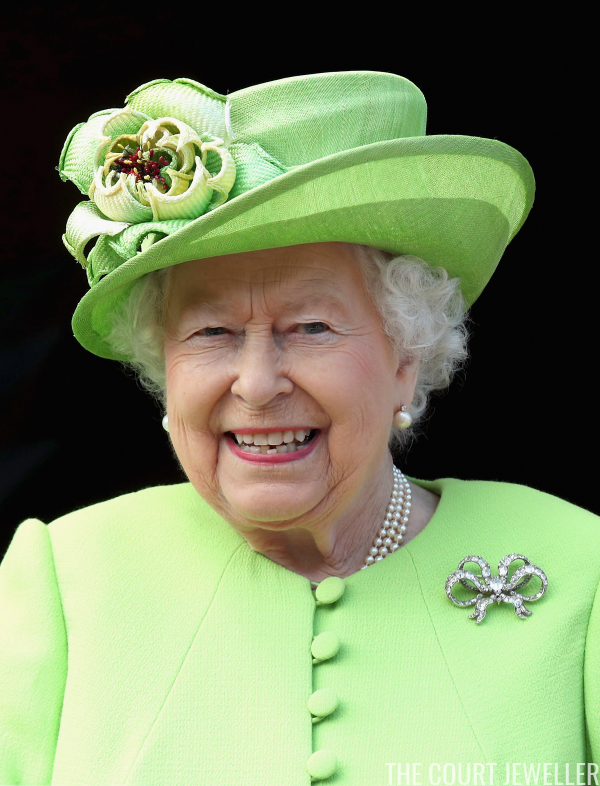 The Queen herself stuck to tried-and-true favorites for her visits to Widnes and Chester, wearing her usual daytime pearl earrings and necklace with one of the classic diamond bow brooches from Queen Victoria's collection. 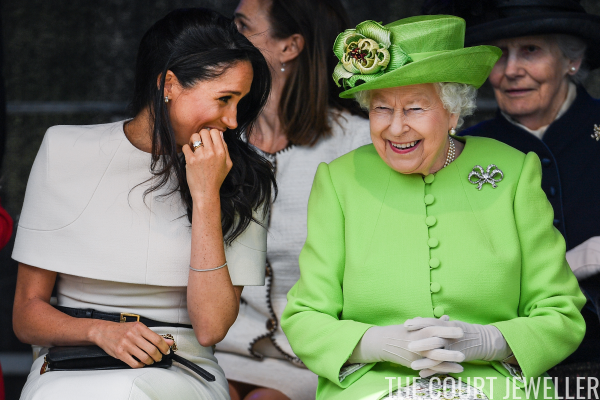 Meghan also wore diamonds and pearls on Thursday -- including a pair of diamond and pearl earrings given to her by the Queen. 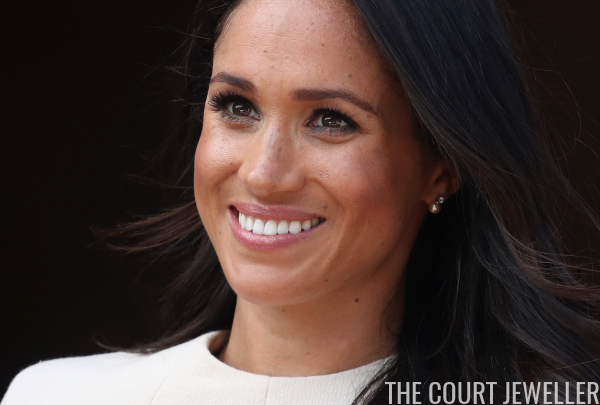 Although these were initially reported to be from Meghan's favorite jewelry firm, Birks, the earrings were a personal gift from HM. The classic style features a diamond stud attached to a creamy pearl. 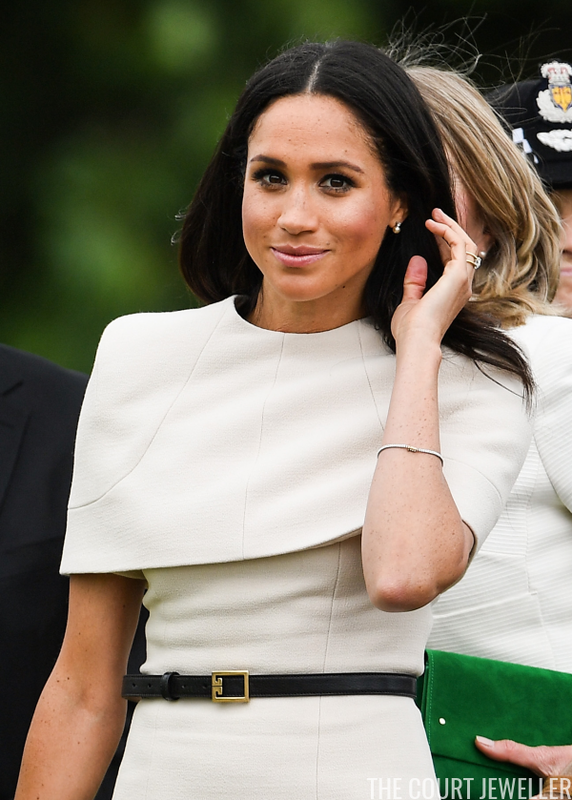 Meghan finished off her jewelry look for the day with the diamond tennis bracelet that she debuted at Buckingham Palace a few weeks ago. 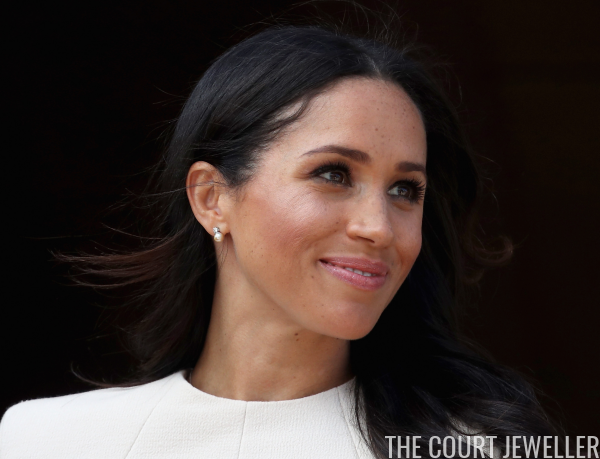 And we also caught glimpses of her engagement ring and her new gold wedding ring. Looks like the trip was a smashing success!